Joshua Weinberg (b. 1993) is a freelance flutist, harpist, and composer in the Twin Cities area of Minnesota. Winner of the 2015 Schubert Club Scholarship Competition, Joshua performed Toru Takemitsu’s “Voice for solo flutist” at the Ordway Performance Center in St. Paul, MN. 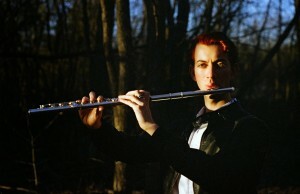 He is currently the flutist of the new music group Renegade Ensemble located in the Twin Cities.